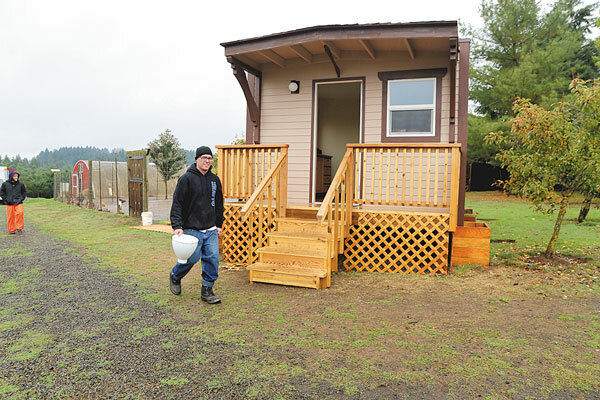 The tiny homes being built through Blanchet Farm’s Homeless Building Homes for the Homeless project are 270 square feet. That is far larger than, for instance, the tiny homes at the Kenton Women’s Village, Portland’s best-known experiment with the tiny home concept. The projects are an element of addressing the catastrophic numbers of homeless in Oregon. CARLTON — Rock ’n’ roll blares from speakers as a man wields a circular saw that bites into lumber in a shop at Blanchet Farm. The half-built tiny home just outside is on its way to becoming whole. The carpenter — like the other residents at this Catholic-founded site — struggles with addiction. He also is building a new life for himself. 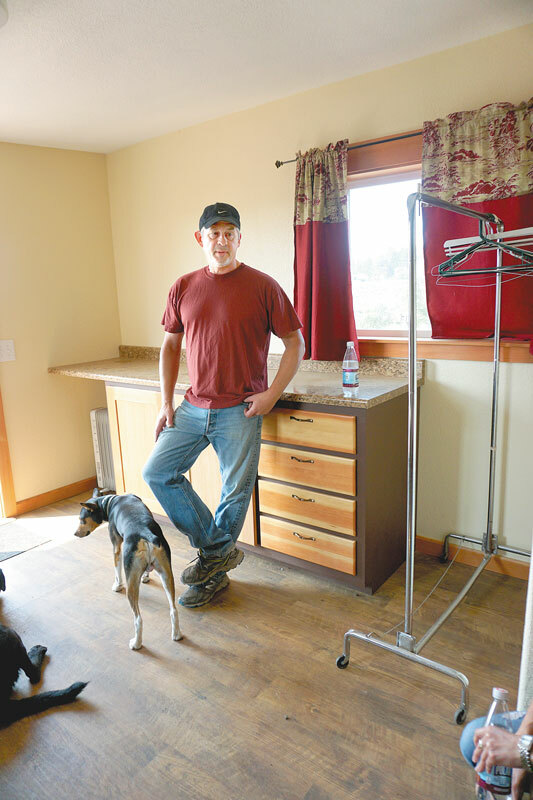 The tiny home project, funded by Wells Fargo and the City of Portland and supported by the NW Carpenters Union, launched three men into full-time work in construction. 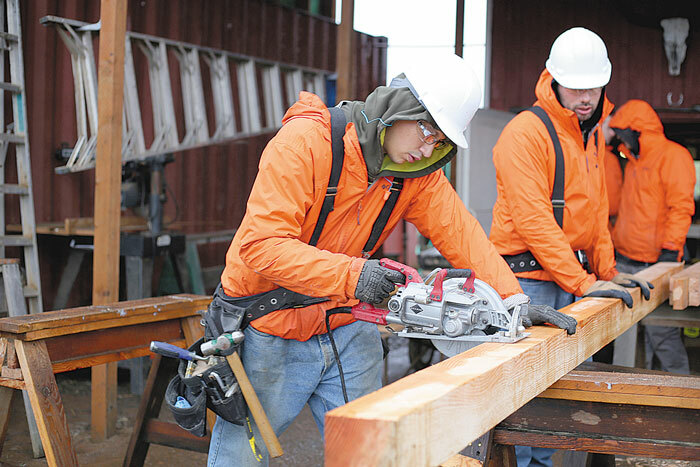 Union carpenters taught the first set of resident builders; now members of that group are teaching other residents. 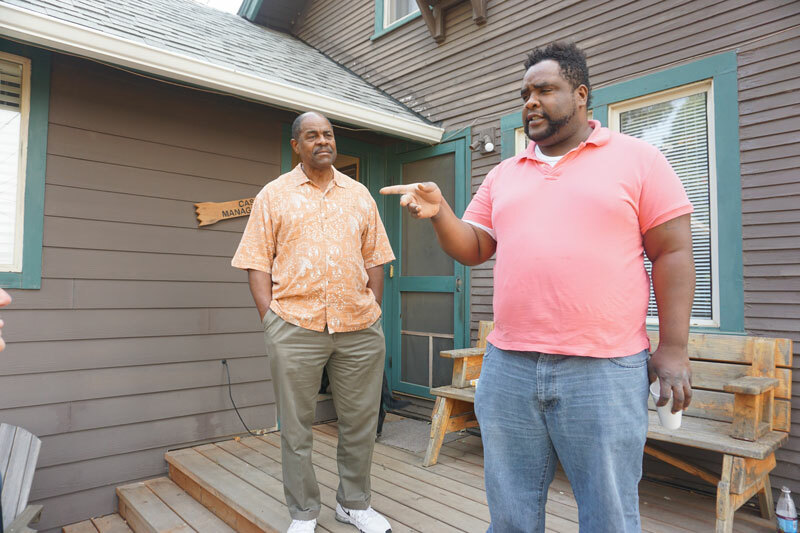 “The idea was that the men here, many of them coming from living on the streets, would be building homes for the homeless,” says Greg Baker, executive director of Blanchet House, which includes the 62-acre farm in the rolling hills west of Portland. Blanchet House in downtown Portland has a kitchen that provides free meals to thousands every week, as well as a transitional shelter program for men struggling with addiction, mental health issues and unemployment. The farm also serves men with those challenges, but in a rural environment. In addition to the tiny homes, men here build furniture, work in the garden and care for the animals. They travel here on a gravel road that threads through tangles of dusty blackberries, views of vineyards and McMansions on nearby slopes. Homelessness means lacking housing, a growing problem in Portland and across the state. The shortage has been apparent for decades, at least going back to the 1980s when investment in affordable housing was slashed. In 1970 there were hundreds of thousands more affordable units nationally than there were low-income renters. The change came when the federal government turned away from government-subsidized housing, and municipalities demolished or allowed conversion of single-room occupancy hotels. According to one study, Portland lost 59 percent of its residential hotels between 1970 and 1986. In addition to a lack of housing, homelessness also is associated with a lack of services, social connectedness and work. Blanchet Farm addresses those needs as well. Across a lawn from the workshop, one of the residents climbs a narrow flight of steps in the old farmhouse and knocks on Nathan Davis Jr.’s door. Davis, a social worker, meets with every man to give him the best chance possible once he reemerges from the farm back into the workaday world. When they leave the farm, the residents typically go into Section 8 housing and a job. Ideally, they’re on a new track, building life and coping skills. That means, in part, not reuniting with the people who were trouble in their past and identifying when they’re feeling at loose ends — time to go to an AA meeting. Davis ensures that each man has the best cover letter and resume possible, and then helps outgoing residents apply for jobs. Aaron Donaldson knows that from experience. His father was at the farm three years ago, but is drinking again. Despite that, when Donaldson decided to overcome his addiction, he wanted a place at the farm. His father has asked him if he’d like to share a place when he leaves, but Donaldson is unsure. “I don’t want to be in a situation where I could relapse,” he says. Donaldson wants to stay at the farm a full year, attending AA meetings four days a week. “I like the peer support,” he says. He’s also getting family support, not just from his father. His oldest brother called him over the summer, pleasantly surprised that Donaldson was in the program and sounding grounded. 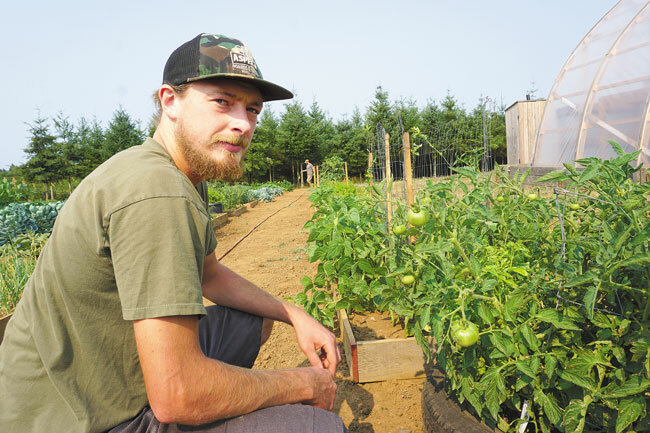 Ross Sears, the program manager here, is himself a graduate of Blanchet Farm. “I’d be lying if I said I didn’t have fun,” he says of his days and nights when his life revolved around drinking — which he says he began in high school, choosing it over social anxiety. His life veered out of control, his health suffered and he had a grand mal seizure. “There comes a day when alcohol isn’t your friend,” he says of himself and the other alcoholics here. Sears would like to see at least three Blanchet Farms — or even 15. “Downtown has more temptations,” he says. Here, the entertainment comes with spiritual value, like the piglets due to be born. Even so, many of the men here will relapse. “If you don’t change you’ll get the same results,” Sears says. And the reprogramming takes time. 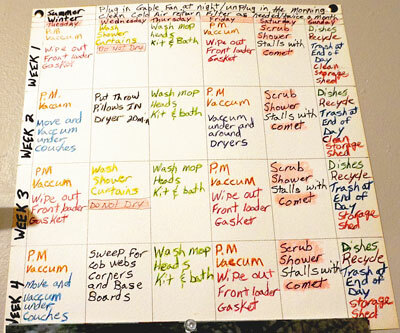 He’s seen that when guys move out together as a group their success rate improves. 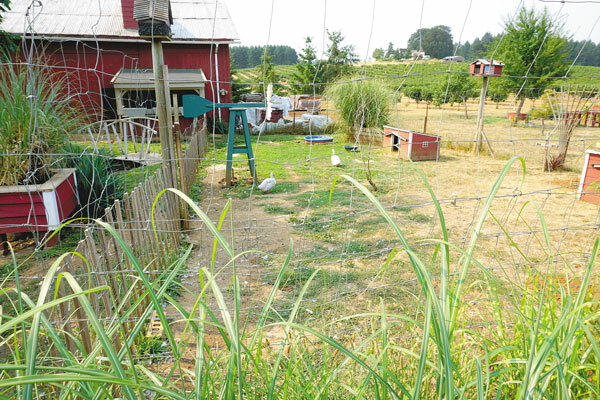 Baker thinks a wide variety of influences, genetic and environmental, lead Blanchet Farm’s residents into addictions. But he sees one pattern common to survivors: faith. “It’s like a light bulb that goes on that allows them to save themselves,” he says.